Ninety days, 2,500 bills, 188 legislators (47 senators and 141 delegates). Sixty-nine of those legislators − 37 percent − are new. We have a new governor, attorney general, and secretary of the DLLR. How many of those legislators know who CPAs are and what we care about? Not enough. How many of those bills will affect CPAs, CPA firms, and businesses? Plenty. That is why we will be there, and we hope you will, too. Join us for CPA Day in Annapolis on Jan. 29 at the Governor Calvert House Hotel (registration link here). We have been doing this for 115 years, ever since when we passed the Maryland Accountancy Law (the third state in the nation to do so). This year will be one of the most important years for our profession. We have been briefing our members all year in our professional issues updates, and now we need you to volunteer a half day to meet your legislators in person and tell them about our issues. Establish new relationships with legislators and elected officials − our 188 legislators, key committees (tax, accounting, judiciary), governor, DLLR secretary, and attorney general. Update the definition of “attest” in our accountancy law to include current CPA services. 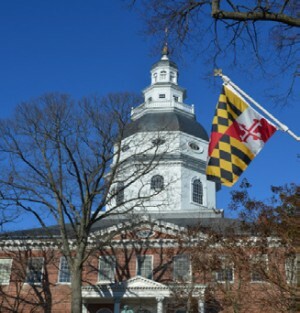 Support the Maryland Tort Reform Coailition’s efforts to pass an appeal bond cap to assure access to the appeals process for CPAs and businesses. Monitor 2,500 active bills in the legislature for CPA issues and unintended consequences. Stop sales taxes on services. Stop comparative fault (overturning contributory negligence). Now do you see why we need you to help us keep our profession strong by helping us this one day? You will come down in the morning to be at the hotel by 7:30 a.m. for breakfast (we have plenty of parking and shuttles at Navy Stadium on your way in). We will match you to your legislators (1 senator and 3 delegates). We will brief you on how to speak with a legislator and cover the issues (plus provide a handout to take to the legislators). We send you up to The Hill to meet with your legislators in groups of CPAs by district (we have your back). The meetings are scheduled between 8:30 a.m. and 9:30 a.m. as the legislators have to meet in “session” from 10 a.m. to noon. You will come back so we can all debrief on what we learned and get two hours of free CPE until the legislators and their aides come back to join us for lunch by district. That’s it! Five hours and you will play an important − no, a critical role − in helping the CPA profession protect our interests for years to come. Help us protect your life, liberty and pursuit of happiness. Register now for CPA Day in Annapolis! Meet the Freshman Class from the Washington Post. A rundown of 2015 Issues to Watch from the Baltimore Business Journal. Meet our two CPAs in the legislature (and MACPA members), Sen. Gail Bates, R-Howard County, and Sen. Brian Feldman, D-Montgomery County.